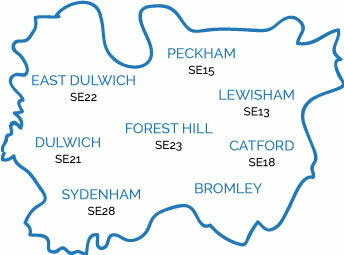 Atlantic Computer Repairs are your local, friendly professional computer company in Forest Hill, covering the whole of South East London, including Dulwich and Sydenham. For a friendly, non-technical chat and helpful advice, give us a call today. Book a home visit or come and see us. We promise to offer a first class service and competitive prices to all of our customers and are able to offer a same day service to office and home users of Windows and Apple systems. If you are looking for a reliable and honest computer technician and professional IT services in South East London, look no further and contact Atlantic Computer Repairs today on 020 8291 2223.